In 1950, the average house size was 900-1000 square feet. In 2004 it was 2300 square feet. The average number of people living in a house in 1950 was 3.7, today it is only 2.6. So, we have houses as much as 2.5 or more times larger, but with a third less people living in them. The additional construction has required much more material and energy and has produced much greater carbon emissions. The results will include very important data and analysis on the sewering of Ocean Heights and Arbutus Park developments. Oak Bluffs Library 6:30 p.m. Participants: Farm Institute, Morning Glory Farm, Island Grown Initiative, Whippoorwill Farm CSA, Native Earth Teaching Farm, Edible Vineyard Magazine. Nis Kildegaard, moderator. Oak Bluffs, April 27 11 a.m.
A great way to celebrate Spring! Spend a spring morning caring for the Island’s only public Japanese-style garden. Bring your own work gloves, rakes, and shovels. Join The Trustees of Reservations at Mytoi on Chappaquiddick anytime throughout the morning. Stacy Stowers is a raw food chef specializing in whole/real foods and nutrition. She will show us how to let go of the processed foods & add in more fresh whole raw foods into our diets. Her famous "Happy Shake" made from lots and lots of spinach will be on the menu. Join us for a non-cooking cooking class. Sign up on line at www.vhlibrary.org or have someone at the front desk assist you. The 19th Annual Earth Day Beach Clean-up was a huge success! Collectively over 400 people removed hundreds of bags of waste and debris from 24 Island beaches. The Vineyard Conservation Society is grateful to everyone who pitched in to make the Vineyard shine! Click HERE for a slideshow of the Clean-up. Special thanks to our sponsors and volunteer groups! MASSACHUSETTS ESTUARIES PROJECT FINAL REPORTS ARE IN FOR SENGEKONTACKET AND FARM PONDS! The much anticipated Massachusetts Estuaries Project FINAL results are in for Sengekontacket and Farm Ponds! Learn about which human and environmental factors are affecting the health of the ponds and what we need to do to save them. 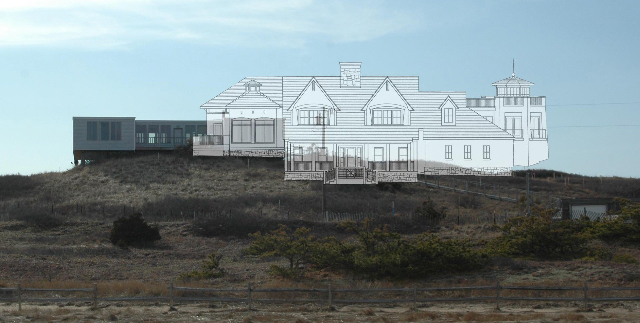 Wednesday, April 27 at 3:00 pm at the Martha's Vineyard Commission, results on Sengekontacket Pond will be discussed. The results will include very important data and analysis on the sewering of Ocean Heights and Arbutus Park developments. Click HERE to read the report on Sengekontacket. On Friday, April 29 at 3:00 pm at the Martha's Vineyard Commission, the results on Farm Pond will be discussed. Click HERE to read the report on Farm Pond. Click HERE for information on the Massachusetts Estuaries Project. Since its launch three years ago, the VCS boat shrink-wrap recycling initiative has more than tripled the amount of plastic product recycled. 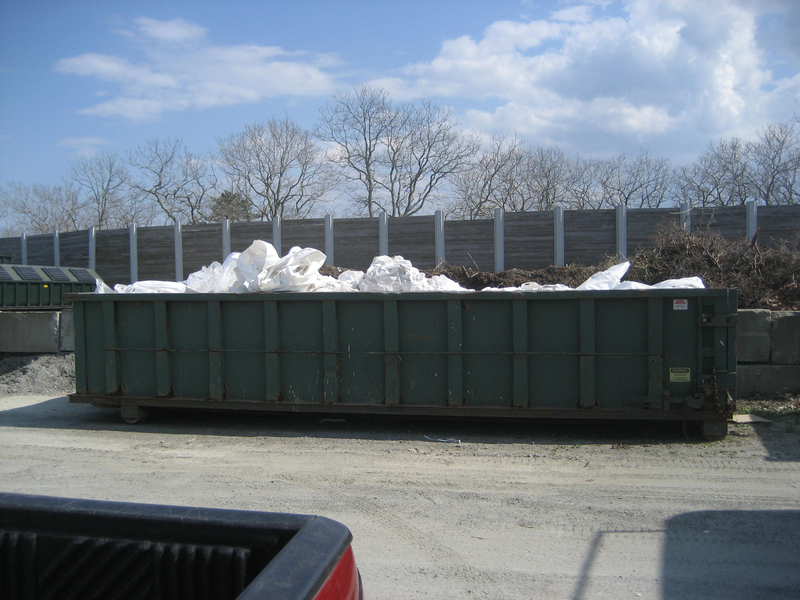 Last season, instead of being incinerated or taking up landfill space, a total of 8,000 pounds of the ubiquitous boat wrap was collected, baled, transported off-Island and recycled into a variety of products including pellets used in the creation of sheet rock and other building materials. This “bio-swale” at the Vineyard Haven Yacht Club will intercept run-off and other toxics before entering the Harbor. Tisbury Waterways Inc. (TWI), a strong community presence in matters involving the quality and improvement of Tisbury's waterways, recently undertook one of its most comprehensive projects: creating a Rain Garden (also known as a bio-retention basin or bio-swale) at the base of Owen Little Way in Vineyard Haven. Rain Gardens are proven landscaping devices for filtering out polluting elements resulting from stormwater run-off. 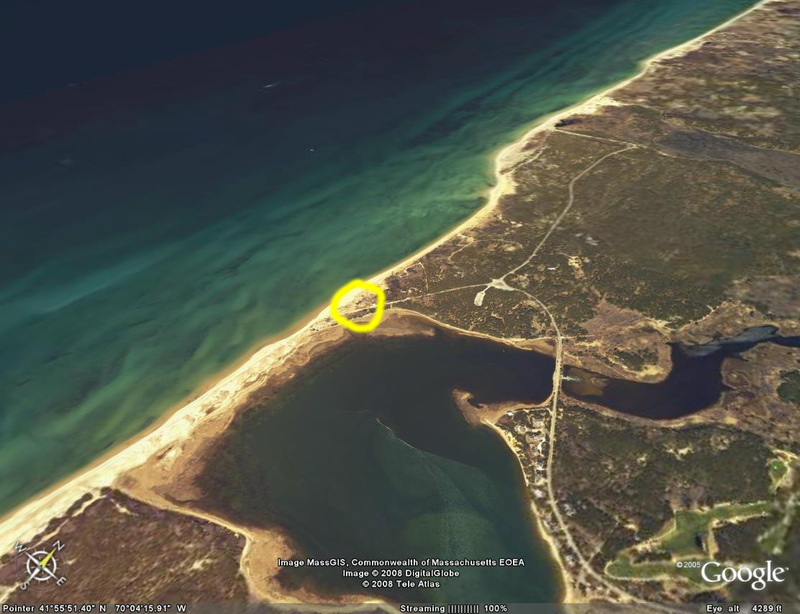 Results from TWI's 2009 water testing program revealed that the highest pollution counts continued to occur at the area between the Vineyard Haven Yacht Club and the Town of Tisbury's public beach access. On Wednesday, May 4 at 7 p.m., TWI will present an educational workshop at the Vineyard Haven Library, detailing the installation of its Rain Garden. The purpose of the proposed by-law is, "To encourage construction that is sensitive to the scale, size and massing of buildings; to protect environmental needs and concerns of the Town, and to ensure that development or redevelopment maximizes consideration of the impact on abutting land, and the neighborhoods; to minimize the potential detriment that may result from residential construction that is large in scale, either in relation to the size of the parcel on which it is located or to the characteristic development of the surrounding area. A number of other communities in Massachusetts have passed similar ordinances tying allowable house sizes not just to the size of individual properties, but to the scale of the neighborhood. Click HERE for the town of Lincoln's “Big House By-law,” at Sections 4, 6, 13, 17.